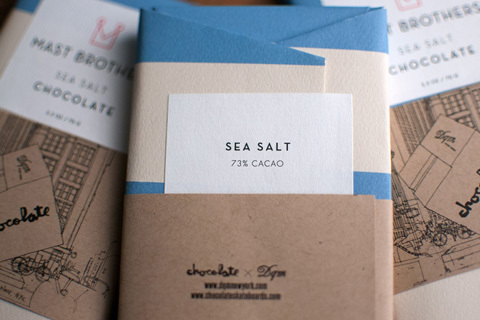 The sea salt and dark chocolate bars are being sold starting today, Sept 25th, in limited quantities in-store at DQM locations. There are a lot of great food-themed skateboards out there—but skate-themed chocolate bars? That’s a first. 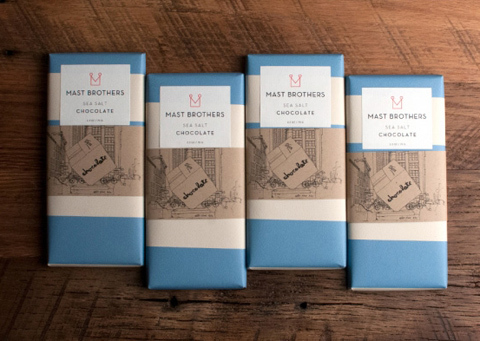 In celebration of iconic skate brand Chocolate Skateboards‘s 20th anniversary, and NYC skate-and-sneaker shop DQM‘s 10th anniversary, the two brands have joined forces with Brooklyn’s Mast Brothers to create a limited-edition chocolate bar. The front wrapper features artwork by longtime Chocolate Skateboards artist Evan Hecox, and the bars come in two flavors: sea salt and dark chocolate. The chocolate bars are being sold starting today, September 25th, in limited quantities in-store at DQM locations. Get there fast—we have a feeling these bars will sell out quicker than Yeezy 2s (well, maybe not, but you get us). 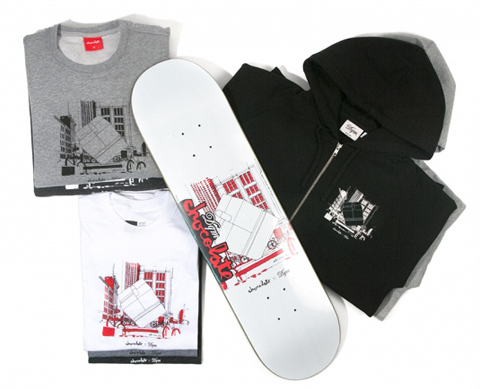 And while you’re at the shop, pick up DQM and Chocolate Skateboards special collaboration collection—it includes a board, along with t-shirts and sweatshirts, featuring artwork by Evan Hecox.